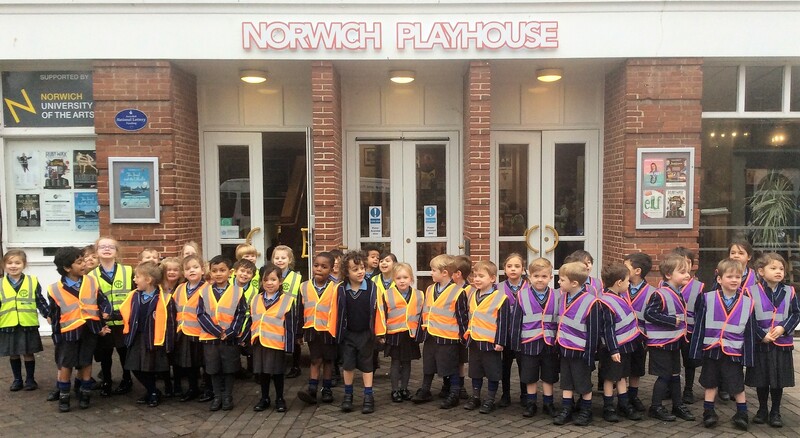 Our Reception children thoroughly enjoyed a hugely entertaining production of Julia Donaldson’s tale ‘The Snail’ and the ‘Whale’ at the Norwich Playhouse last week. The children accompanied the courageous and curious snail on a wonderful trip around the world on the tail of a whale, with some animated storytelling, live music and lots of laughs! The story is a fantastic tale of friendship, bravery and ingenuity that beautifully conveyed to our children that being small is no barrier to greatness!